Conserving water is sometimes not as easy as it sounds; when should you avoid using water? and what kinds of things are actually wasting it? Use these Water Saving Tips to get a handle on your water consumption. 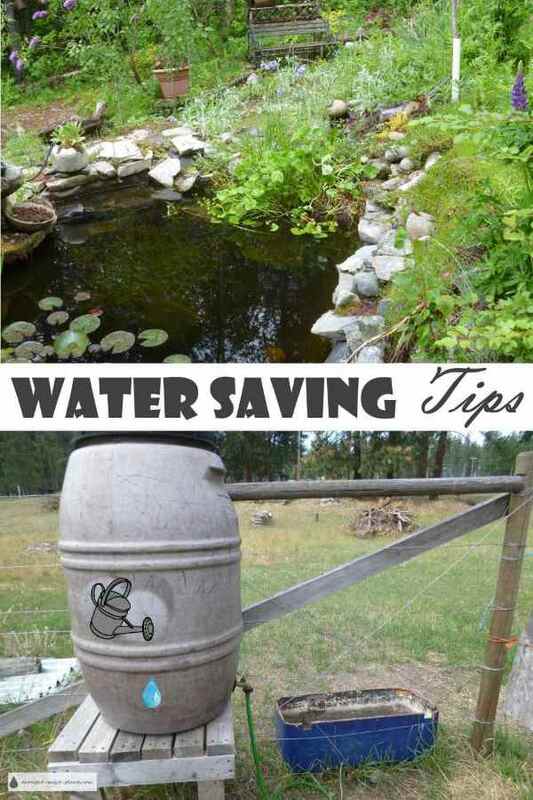 If you've ever lived in a place with water restrictions, or had them naturally imposed on you because you have a well, you may already be aware of some of these tips. Water restrictions seem to be starting earlier in the year, and go on longer, so you need to be really aware of where all that water is going. Is it being used sensibly? Or squandered? Install a timer on watering devices such as drip irrigation, or a rain gauge to shut the water off completely if it rains. Don’t plant a lawn with just any old turf grass – use a grass specifically bred for low water consumption; use Buffalo grass or plant a hardy groundcover such as thyme to make a lawn substitute in a beautiful thyme lawn. The benefits of these kinds of plants are much more than just lower water use – they are hardy and low growing, so don’t require much mowing either. Use a water capture system to salvage water off roofs – the water can be used for washing cars, watering plants or for an ecosystem pond. The amount of water falling from a green roof is cut by about two thirds, and the amount that does run off is considerably slowed to ease the burden on storm sewers and drainage systems. As an additional bonus, you can capture the run off from the roof for compost tea if the plants are planted in high nutrient soil. Install a water capture system such as rain barrels, which can then be used to feed a drip irrigation system. In Canada we use 326 liters of water a day each – the second highest consumers in the world. This also puts us at 65% higher than the other 28 countries examined. This embarrassing statistic can be changed by reducing our water consumption drastically. Good habits to cut back on waste in our dwellings can be as simple as doing laundry or using a dishwasher only when full, reducing the length of showers and the number of baths which are wasteful. There are many ways to conserve water in the house, but what about in the garden? Gravity fed water from a cistern or other water salvage system will save money too, as there is no electricity involved. Planting a xeric garden and using drought tolerant plants and xeriscape design techniques will save water, especially if they are mulched and planted in soil amended with compost. Xeriscaping is the number one way to save water from being wasted in the garden. Use some Permaculture design ideas by grouping the plants in niches or zones; those with higher water requirements closer to the water source, tapering to those plants that require little to no additional irrigation further away. This would be the ideal place to plant some of my favorite plants that require much less water than the average garden plants – in fact, once established, they prefer a dry well drained soil and can live quite happily on what mother nature doles out in the way of rainfall, fog, and snowmelt. Some of the best choices of low water plants are Sempervivum, Jovibarba and Sedum. A simple mulch bed can reuse greywater from laundry or showers, eliminating the need to use fresh, clean water on these areas. For more water saving tips, look at this list of 100 Water Saving Tips, and here for more on How to Efficiently Water Landscaping.